MJ was the debut model of Taeyang. 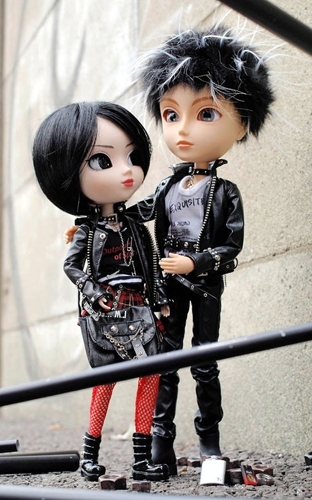 Taeyang replaced Namu as Pullip’s boyfriend after he was discontinued in 2005, while their head sculpts are different they do share the same body type. 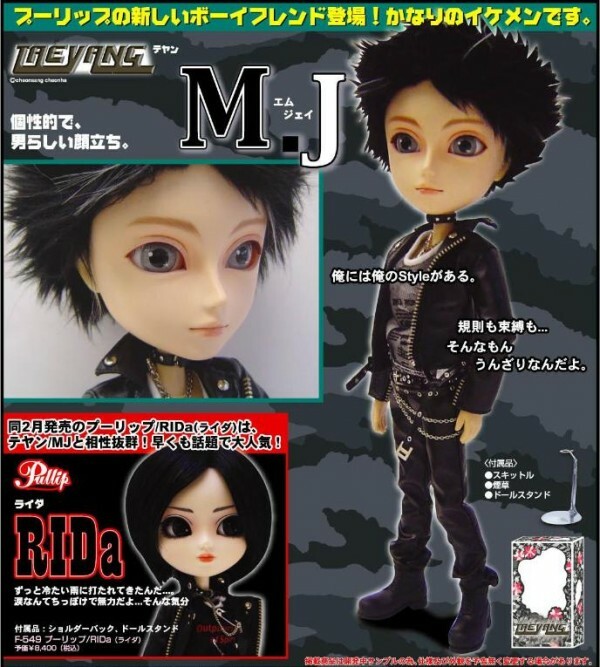 Taeyang MJ was released alongside his counterpart Pullip RiDa in February of 2006. Feel Like So: I have my style. Rules, restraints,,, I get fed up them. 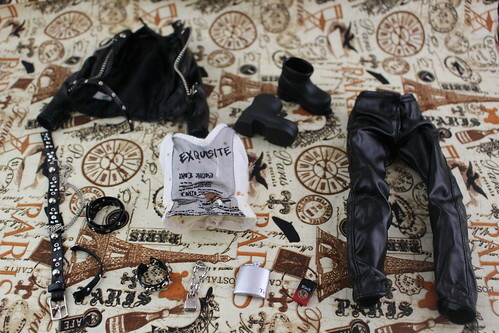 Stock: Taeyang MJ’s stock consists of a faux leather jacket, faux leather pants, a tank top, boots, belt, collar, necklace with padlock chain and two wrist straps. He comes with a pack of cigarettes and a flask as accessories. 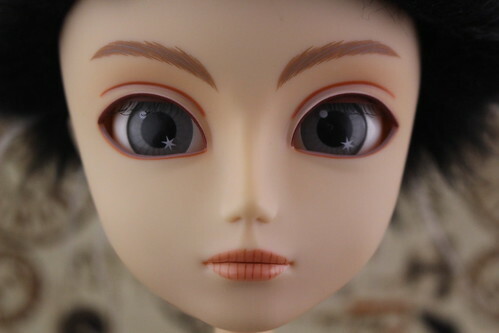 Special Notes: Taeyang MJ was the first Taeyang to be released, Taeyang replaced Pullip’s previous boyfriend Namu. 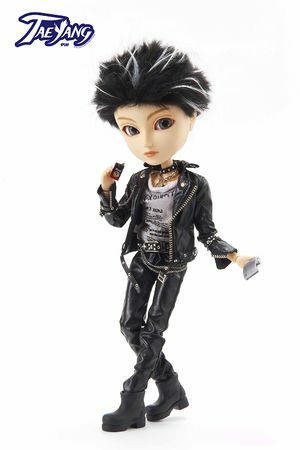 Taeyang MJ is the only Jun Planning/Groove doll to come with cigarettes and a flask as accessories. Known Issues: Jacket can cause staining primarily in the shoulder area. His stock wig is pretty bizarre.